Share photos on Facebook right from your Desktop. Is there a better alternative to Picturito? Is Picturito really the best app in Social Networking category? Will Picturito work good on macOS 10.13.4? 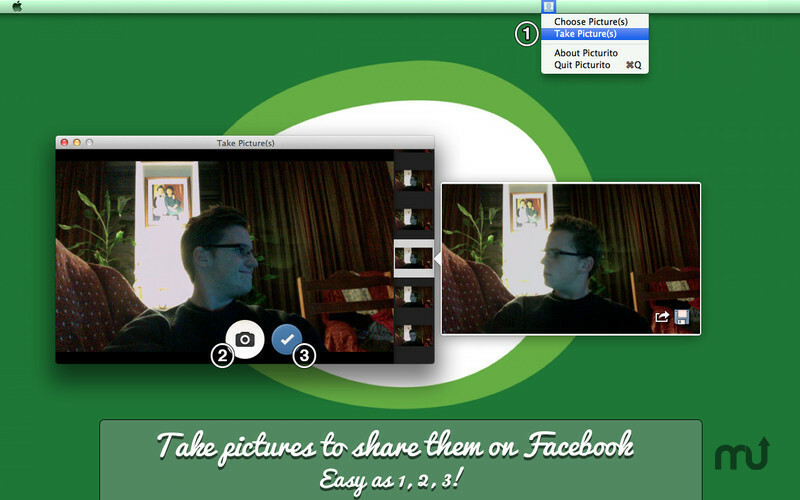 Picturito is the fastest and easiest way to share multiple pictures from multiple places on Facebook right from your desktop! Easy as 1, 2, 3! 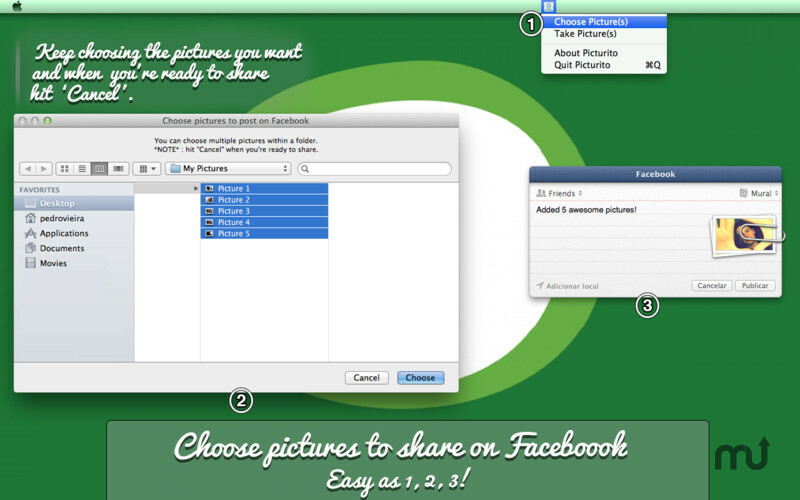 Picturito is a small menu-bar app that helps you share multiple pictures to Facebook using the built-in OSX Facebook integration. You just have to choose the pictures you want and Picturito will do the hard work! 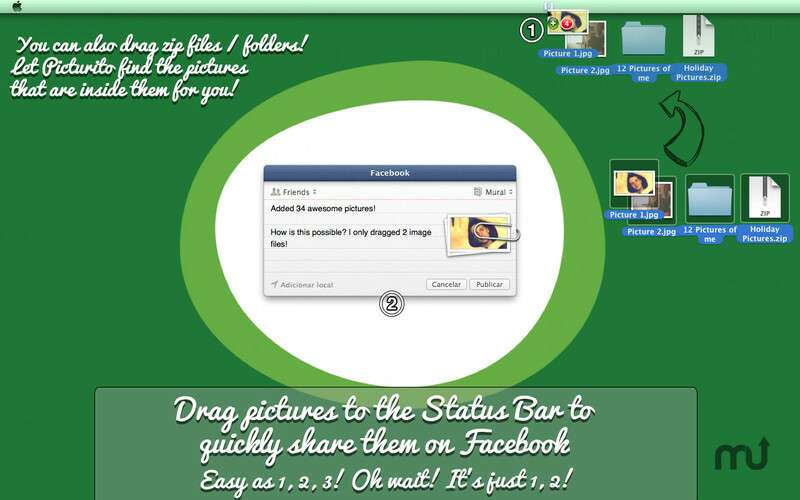 Sharing those 50+ holiday pictures to your Facebook albums has never been easier! Picturito needs a review. Be the first to review this app and get the discussion started! Drag and drop folders/zip files to the Status Bar and let Picturito find the pictures inside them for you! NOTE: You need to be using OSX 10.8.2 or later in order to use the OSX Facebook integration. Picturito needs it! If you have any problems contact pedrovieiradev@hotmail.com. Follow me on Twitter @w1tch_ for more updates! Created in Portugal with love.